Anne is a freelance journalist based in London since 2006. 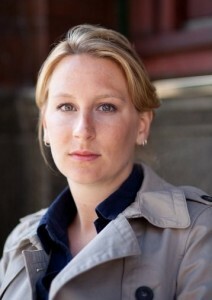 She works as a correspondent for Dutch RTL News covering the UK and Ireland. Before working as a freelance reporter and producer Anne graduated from the School of Oriental and African Studies (SOAS) in London with a degree in History and African Studies. During her studies she worked for IC publications, publisher of African and Middle Eastern business magazines. She also completed a degree in Journalism in Utrecht, The Netherlands. Anne started her career in journalism in the Netherlands, writing for a local newspaper, covering everything from floating flower parades to muddy techno festivals in and around The Hague. She then moved on to television news, working as a producer and reporter for NOS, Dutch Broadcasting Corporation, and RTV West, a local tv and radio station where she developed a passion for broadcast journalism.